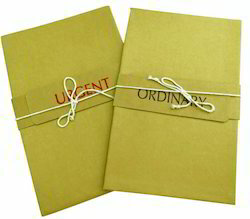 Our product range includes a wide range of ordinary file folders. Backed by a team of diligent professionals, we have been able o manufacture and supply Ordinary Files. Demanded in offices and various other places, the offered files are designed as per the industry set guidelines. To meet the demands of esteemed customers, we are providing these files in different sizes.